I'm so excited to introduce our new contributor, my friend Rachelle Doorley and the creative mind behind Tinkerlab, a site filled with fantastic ideas for creating child-directed art projects and experiments. 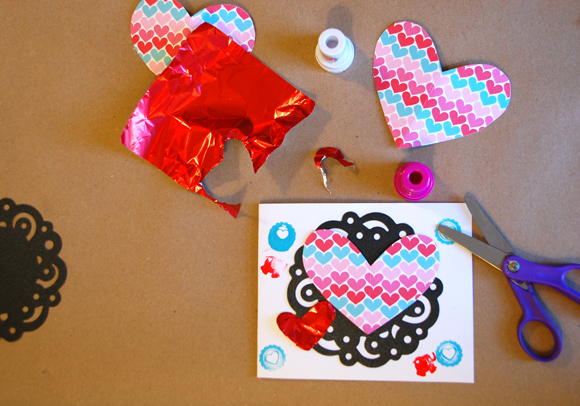 Valentine's Day with kids doesn't have to be stressful. In fact, sometimes the simplest ideas can be the most successful. 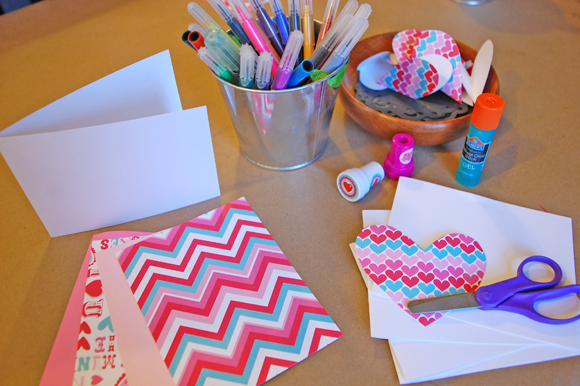 When we have friends over for Valentine's Day, a favorite activity is the do-it-yourself Valentine table. 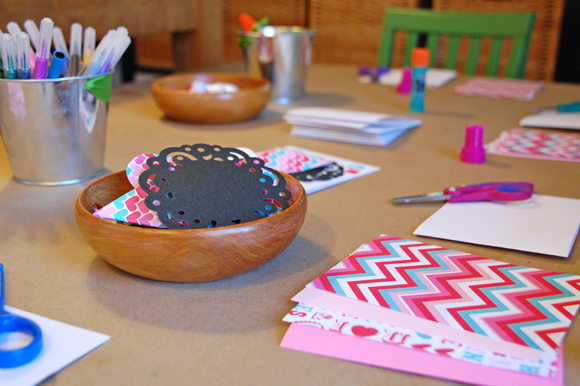 You can think of this card-making table as an open-ended art-making experience that builds creative thinking skills by enabling children to make choices and develop their own ideas. And it doesn't hurt that it takes me back to the doily and paper heart Valentines of my own childhood. Set up a station for each child. If you don't have enough materials for each child to have their own (scissors or glue, for example), place those in the middle of the table for sharing. Pre-make a couple examples and put those in the middle of the table to give the children some ideas on what they can do with the materials. Keep your samples simple enough so that the children will get inspired, but not feel like they have to make a direct copy. Some children could sit at a table like this for hours, while other children may graze this table for minutes. Either way, keep in mind that children learn through play and will appreciate the open-ended quality of this experience. Thanks, Rachelle. 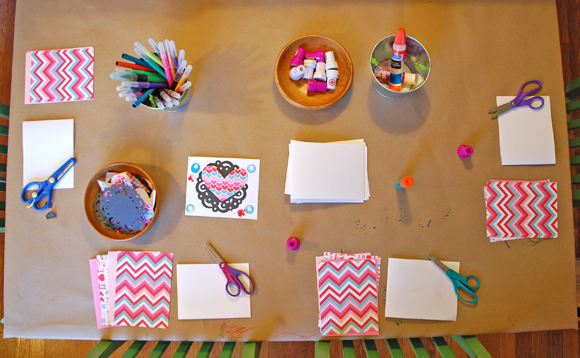 What a terrific way to inspire our kids to be creative while making cards they can give to the people they love! To find more interesting and creative activities and experiments for your kids, please visit Tinkerlab. Also check out the Tinkerlab Facebook page and Pinterest boards. HOw cute! We will be filling out cards this weekend! Thanks for sharing! Thanks so much Melissa. Happy Valentine's Day! !